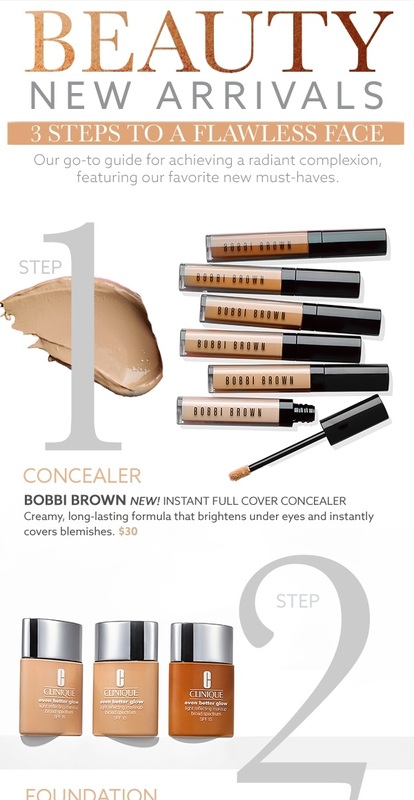 3 Steps to a Flawless Face with these newest arrivals! Plus, receive a cheery blue tote with you choice of 5 assorted skincare, makeup, or fragrance must-have samples with any cosmetics or fragrance purchase of $75 or more! Enter for a chance to win The Ultimate Power-Woman Giveaway!